Now I would that ye should remember that God has said that the inward vessel shall be cleansed first, and then shall the outer vessel be cleansed also. In a sharp-toned letter to the Chief Judge Pahoran, Captain Moroni rebuked those central governmental officials who were responsible for the deprivations of their soldiers in the field. 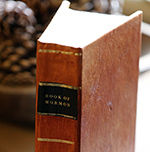 Yet nestled among a series of rhetorical questions, Moroni drew upon a divinely stated law that is not found elsewhere in the Book of Mormon: “Now I would that ye should remember that God has said that the inward vessel shall be cleansed first, and then shall the outer vessel be cleansed also” (Alma 60:23). Another provision of the law stated: “When a man dieth in a tent: all that come into the tent, and all that is in the tent, shall be unclean seven days. And every open vessel, which hath no covering bound upon it, is unclean” (Numbers 19:14-15). These regulations came to raise a number of legal issues: did this rule of impurity apply only to a piece of pottery that had an inside and an outside, like a jar but not a plate? Apparently yes, otherwise how could the animal corpse fall “into the midst” of it (Leviticus 11:33)? Was it enough to be in the same space with the dead animal, or was impurity transferred to an open vessel only by actual contact? Evidently, no contact with an open vessel was required (Numbers 19:15). Was the vessel rendered impure if the dead animal came in contact with the inside only? Apparently yes, for corpse contamination of the outside of a covered vessel did not render the pot impure. If only the outside of the container was contaminated, could it be purified simply by immersing it in water until the end of the day? Yes (Leviticus 11:32). If the inside of an open vessel was contaminated, did it have to be smashed? Yes (Leviticus 11:33). Clearly, these regulations were quite specific, and documents from Egypt show that pot impurity was of actual ancient concern. Implicit behind these rules is the assumption that the inside of a vessel was more susceptible to impurity than the outside. This distinction would logically account for the idea that cleansing the greater impurity inside a vessel would automatically purify the lesser impurity outside, and thus, for several reasons, it would make more sense to cleanse the inside of a vessel before the outside. Understandably, these legalities could easily be imbued with symbolic importance. From the teachings of Jesus in the New Testament, it is clear that he was aware of rules regarding pot purity and their metaphorical significance. In one instance, Christ affirmed Isaiah’s condemnation that “This people honoureth me with their lips [the outside], but their heart [the more susceptible inside] is far from me” (Mark 7:6-8). Jesus then explained, “There is nothing from [outside] a man, that entering into him can defile him: but the things which come out of him, those are they that defile the man” (v. 15). Wrestling with these ancient issues, the Jewish schools of Hillel and Shammai at the time of Jesus argued about the order of cleansing a container, whether one should purify its inside or its outside first. Jesus made use of this debate to draw a moral lesson, when he condemned the Pharisees for being like people who purify the outside of a vessel, “but within they are full of extortion and excess. … Cleanse first that which is within the cup and platter, that the outside of them may be clean also” (Matthew 23:26). Similar sentiments related to inner vessel impurity can be found elsewhere in several early Christian or gnostic texts. When Captain Moroni required of Pahoran that “the inward vessel shall be cleansed first, and then shall the outer vessel be cleansed also” (Alma 60:23), he invoked legal provisions from the Law of Moses that would have been known to Pahoran. Moroni built upon the essential “inner-outer” dichotomy, when he spoke of those in the inner “heart of our country . . . surrounded by security” (v. 19), and those outside, “round about in the borders of the land” (v. 22). He presumed that the inner part could become seriously contaminated quite easily, simply by idleness and dereliction of duty (vv. 18, 22). He assumed that as soon as the inward vessel were cleansed, then would the outer vessel be consequently “cleansed also” (v. 23). Thus, it made compelling sense to begin by cleaning up the situation in the inner capital city. While Jesus took issue with those Pharisees who began by cleansing the outside of a vessel, Moroni knew of no one who was suggesting that the soldiers in the outreaches needed to be purified first. Still, the overall agreement between the arguments of Jesus and Moroni strongly suggest that they were drawing upon these laws from Leviticus and Numbers. Moroni attributed these rules of pot purification unequivocally to God in order to heighten the impact of his metaphorical indictment. Whatever the explanation, the textual interaction of these texts demonstrates the value of studying the Bible and the Book of Mormon together. A unifying component in these statements and concerns about impurities can be found in ancient temple theology. Vessels used in the ancient Israelite temples needed to be kept pure,  which seems to be directly related to Isaiah’s injunction to “be ye clean, that bear the vessels of the Lord” (Isaiah 52:11; 3 Nephi 20:41). Echoing this sentiment, Psalms 24:3–4 emphasized the need for both external cleanliness as well as internal purity: “Who shall stand in his holy place? He that hath clean hands, and a pure heart?” (see also 2 Nephi 25:16 and Alma 5:19). 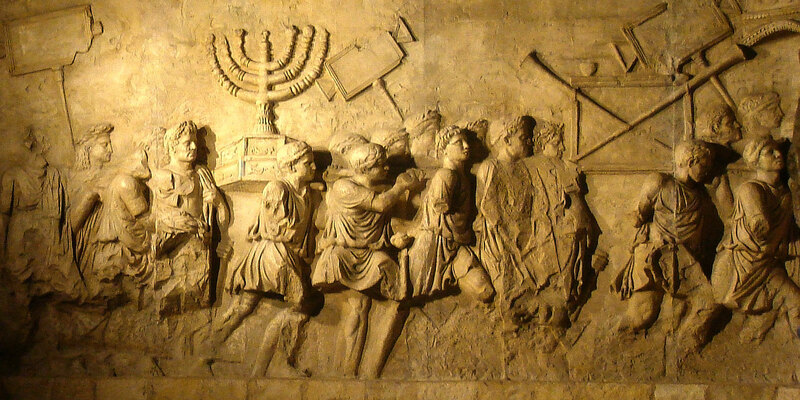 The innermost parts of the temple in Jerusalem were considered more holy than the outer portions, with the holy of holies as the most sacred and cosmically central of all. The same principle applied in Zarahemla, the key temple city of the Nephites. Moroni’s call for Pahoran to cleanse the inner city might also have carried an implication that the temple in Zarahemla had been desecrated by Pahoran’s failure to support the soldiers in the field, some of whom had even died, along with women and children (Alma 60:17). Recognizing that “the Lord hath said he dwelleth not in unholy temples, but in the hearts of the righteous doth he dwell” (Alma 34:36), Moroni would also have hoped that Pahoran’s heart would change, so that God’s Spirit could sanctify the deepest and most inward parts of his soul and impel him to action in behalf of Moroni’s desperate situation. And just as an individual must purify his or her heart in order to enter the presence of the Lord, so too must a nation be pure in heart—and in the case of Moroni’s people, pure in its central government—if God is to bless them together with peace and prosperity. John W. Welch, The Sermon at the Temple and the Sermon on the Mount: A Latter-Day Saint Approach (Provo UT: Deseret Book and FARMS, 1990), 42-46, 77-78. Donald W. Parry, “Demarcation between Sacred Space and Profane Space: the Temple of Herod Model,”in Temples of the Ancient World: Ritual and Symbolism, ed. Donald W. Parry (Salt Lake City and Provo, UT: Deseret Book and FARMS, 1994), 413-439. For pot impurity amid the Jewish community at Elephantine four centuries before Christ, see Bezazel Porten and Ada Yardeni, “Ostracon Clermont-Ganneau 125: A Case of Ritual Purity,” Journal of the American Oriental Society 113 (1993): 451-456. See also Matthew 15:1–9; 23:26–27. These verses seem to suggest that while the Pharisees were strict to follow the traditional statutes concerning vessel impurity, they were not following the more weighty commandments of God. See Jacob Neusner, A History of the Mishnaic Law of Purities, Part 3: Kelim (Leiden: Brill, 1974): 374-81; Mishnah Kelim 2:1; TB Hullim 24b; Sipra, Shemini 7:6; Jacob Milgrom, Leviticus 1-16 (New York: Doubleday, 1991), 675. See Gospel of Thomas 89:1-2; Gospel Oxyrhynchus fragment 840 2:8. See also, Robert W. Funk, Roy W. Hoover, and the Jesus Seminar, eds., The Five Gospels: The Search for the Authentic Words of Jesus (New York, NY: Polebridge and Macmillan, 1993), 243. See Book of Mormon Central, “Why Is There a Need for the Testimony of Two Nations? (2 Nephi 29:8),” KnoWhy 56 (March 17, 2016). See Donald W. Parry, “Service and Temple in King Benjamin’s Speech,” Journal of Book of Mormon Studies 16, no. 2 (2007): 45; Donald W. Parry, “Demarcation Between Sacred Space and Profane Space: the Temple of Herod Model,”in Temples of the Ancient World: Ritual and Symbolism, ed. Donald W. Parry (Salt Lake City and Provo, UT: Deseret Book and FARMS, 1994), 428; Hugh Nibley, Mormonism and Early Christianity, ed. Todd M. Compton and Stephen D. Ricks (Salt Lake City and Provo UT, Deseret Book and FARMS, 1987), 394. Interestingly, Alma 5:19 reverses the order of hands before hearts: “I say unto you, can ye look up to God at that day with a pure heart and clean hands? I say unto you, can you look up, having the image of God engraven upon your countenances?” (emphasis added). Parry, “Demarcation of Space,” 414. See David A. Bednar, “Clean Hands and a Pure Heart,” Ensign, November 2007, 82, online at lds.org. John W. Welch, The Sermon at the Temple and the Sermon on the Mount: A Latter-Day Saint Approach (Provo UT: FARMS, 2010), 45. See Psalms 24:4-5; D&C 97:21. See also, Ezra Taft Benson, “Cleansing the Inner Vessel,” Ensign, May 1986, online at LDS.org.